I love a bride who likes to put her own twist on things, and (if I do say so myself), our Floral Wedding Invite is perfect for that. As you can see from the example on our website, one bride has used a brown card case with transparent covering and gold wax seal. But Katie's theme has touches of red and blue, which she has introduced with a red wax seal to stick down a lovely brown kraft envelope, and a midnight blue ribbon to hold all the pieces together. 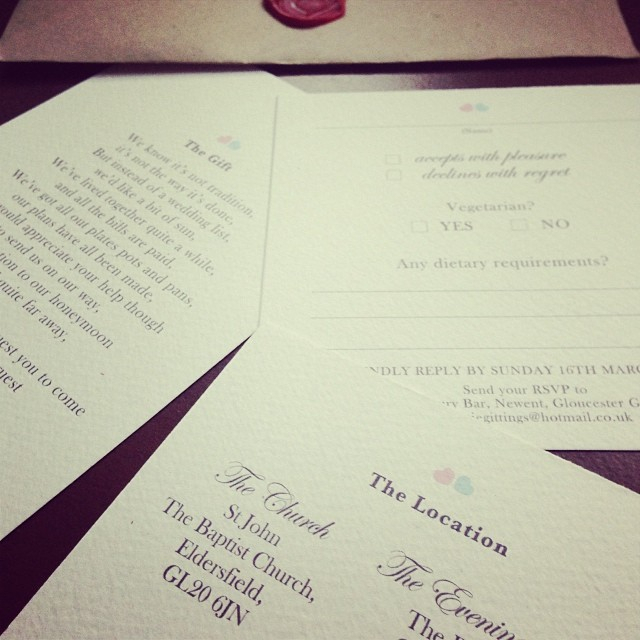 I was lucky enough to receive one in the post (which is always nice even if you haven't designed it yourself), and it was lovely to see our invitation take on a whole new look. See a few pictures below, and if you are also a DIY bride then get in touch as this may be the perfect invite for you!